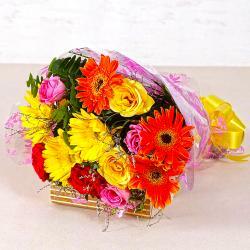 Product Consists:Bouquet of 18 Mix flowers like Red Roses and Yellow and Orange Gerberas with lots of green fillers. 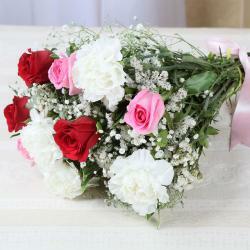 These romantic red roses with fresh gerberas will amaze you with their vivacity and aesthetic beauty alike. 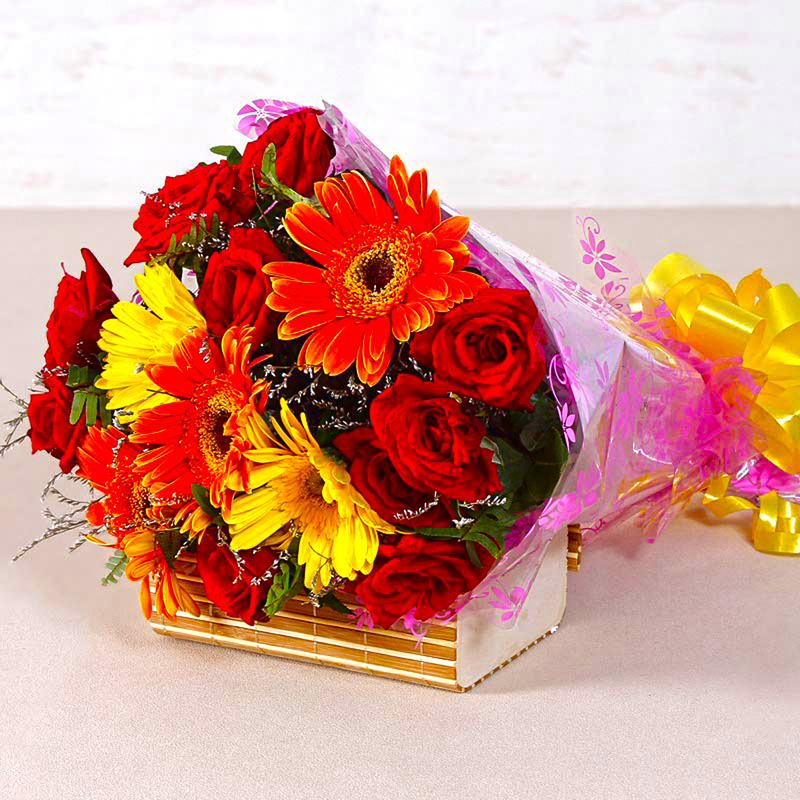 They look really bright and attractive in roses and gerberas and fillers are neatly packed in cellophane for added quality and elegance. These look really tempting and also have a matching ribbon bow on top of the package for added effect. You should certainly consider this unique gift for surprising your loved ones this festive season. 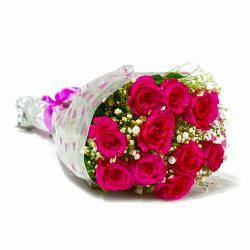 The flowers bouquet of red roses and gerberas can be used by you as special gifts for festive occasions like Birthday, Anniversary, Independence Day, Thanksgiving Gift, Friendship Day even Valentines Day. 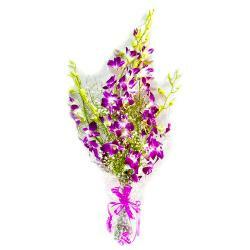 Product contains : Bouquet of 18 Mix flowers like Red Roses and Yellow and Orange Gerberas with lots of green fillers.